Canon Andrew White presents Christine Darg with the 2017 Jerusalem MERIT Peace and Reconciliation Prize. 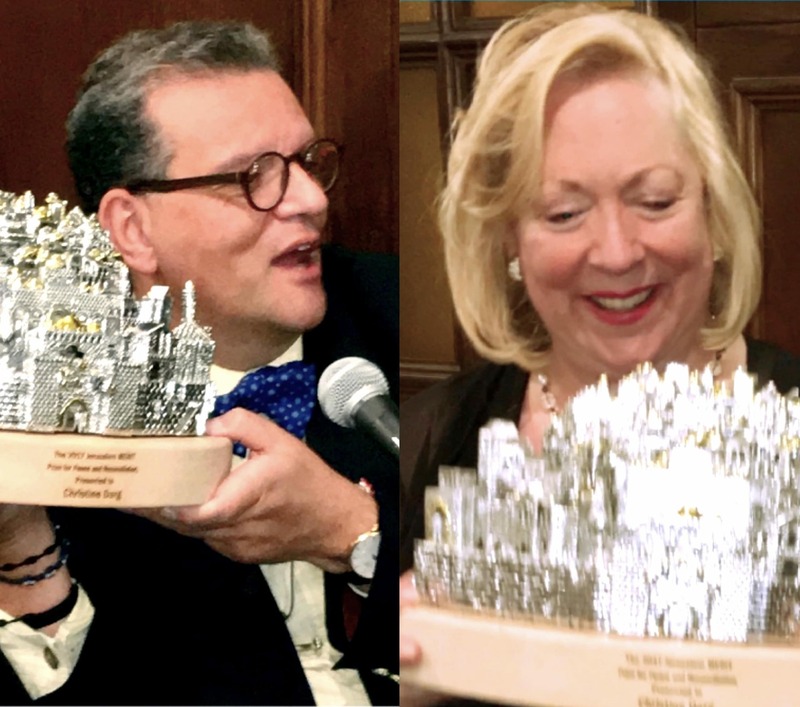 Jerusalem Channel Co-founders Peter and Christine Darg first visited Israel in 1975 when the nation was still recovering from the 1973 Yom Kippur War. The following year, 1976, brought Israel to the world’s attention with the hijacking of a flight from Tel Aviv to Paris that ended up in Entebbe, Uganda. Israeli commandos, led by the brother of Prime Minister Benjamin Netanyahu, made a dramatic rescue of the passengers on July 4th, the 200th anniversary of US independence. 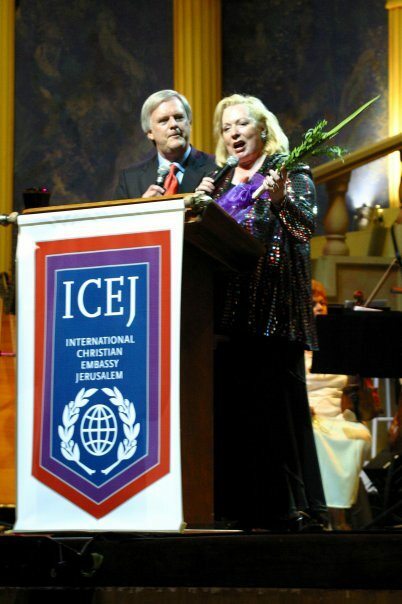 Christine, an award-winning newspaper journalist, was in Tel Aviv to interview some of the freed Israeli hostages. Through many early experiences, the Dargs began to understand contemporary Israelis and their struggle to survive against a violent and hostile world. 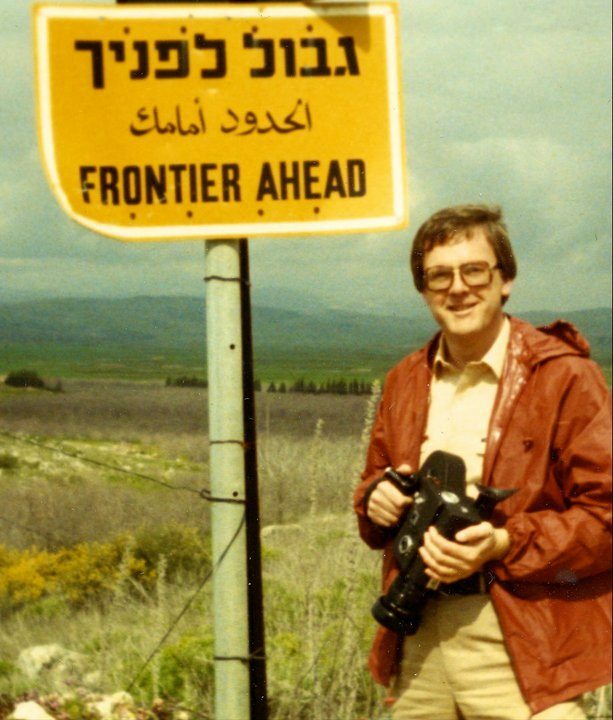 At the same time, London-born Peter Darg was completing his studies in the USA at a theological seminary to achieve a deeper comprehension of the Biblical side of Israel’s extraordinary history and how God singled out the Jewish people to be a nation of priests and a light to the nations. Additionally, the Lord of the Harvest gave Christine a burden for the entire region according to the prophecy of Isaiah 19: 25, “Egypt My People, Assyria the Work of My Hands, and Israel My Inheritance.” For three decades she has been preparing the Lord’s Highway in prayer convocations for the soon-coming day when Jerusalem will become the worship capital of the world! 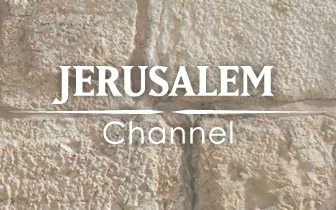 The Jerusalem Channel is bringing the Light of the Lord to the nations beginning from Jerusalem, according to the Great Commission. Christine’s healing ministry goes back to her earliest childhood memory– a visitation from Jesus in an open vision during a life-threatening illness. His appearance to heal her totally was not a Sunday school image of a “Gentile Jesus,” but a kingly man of semitic, Mideastern features. Growing up in America, Christine’s godly parents taught her deep roots in the Hebrew Scriptures and an undeniable connection with the Jewish people. 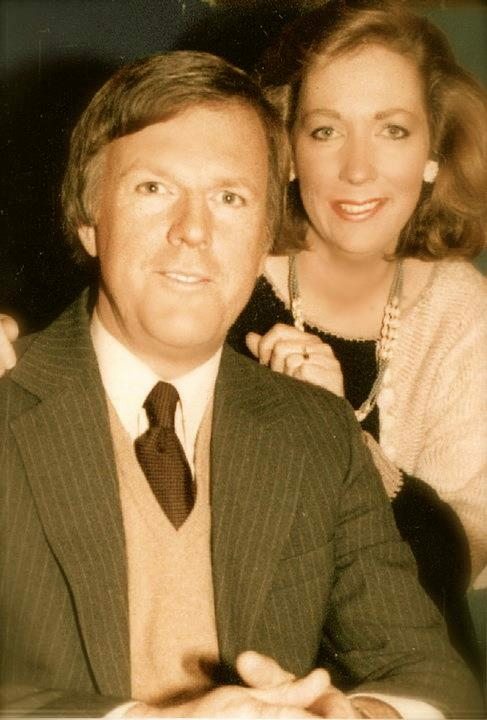 Trained also as broadcast journalists, the Dargs’ call to Israel was confirmed in 1978 when they were selected by the Christian Broadcasting Network (CBN) to open a news bureau in Jerusalem. Their work and raising a young family in Israel would be an opportunity to meet Jews, Arabs and Christians within the country and beyond with trips to worn-torn Beirut, Amman, Damascus, Cairo, Baghdad and the Gulf states. Additionally, they spent five strategic years moving through Africa as part of the international team of Evangelist Reinhard Bonnke. But Jerusalem would always be the base for what became their burgeoning Exploits Ministry, the Lord’s witnesses first “in Jerusalem, then Judea and Samaria and to the ends of the earth.” (Acts 1:8). 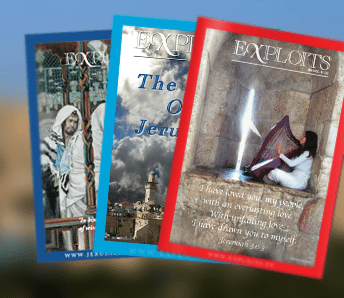 Today, Exploits Ministry reaches globally out of Jerusalem to all nations via Revelation TV and The Jerusalem Channel, with Gospel campaigns and Bible Workers Congresses in many nations as well as three annual prayer convocations in Israel.